The 992 generation of Porsche’s core model is probably one of the worst kept (and most predictable in more ways than one) secrets in the company’s history. That’s because we’ve already seen it almost totally undisguised at the end of this summer. 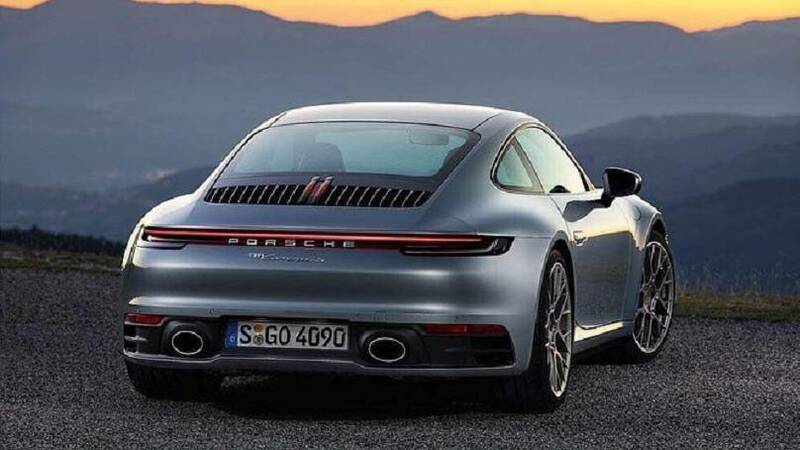 Still, the moment the first official photos of an all-new Porsche 911 generation get leaked on the web remains a special moment. 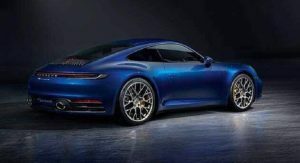 These three poor resolution pics sent to Jalopnik by an anonymous tipster are as official as they can be and show us the 992 generation in all its (pixelated) glory. 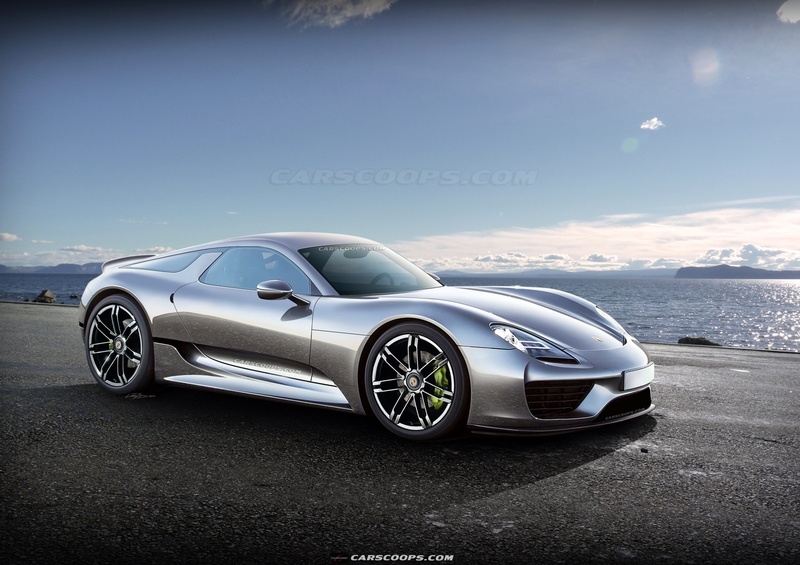 As you would expect, there’s nothing surprising about the look of the eighth-generation 911. 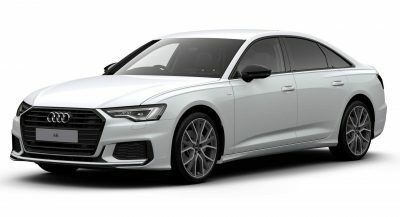 The sports car carries on with the round headlamps, the iconic side profile, and the muscular rear haunches — the latter elements appear more pronounced than on its predecessor. As for the taillights, they get a more significant overhaul than their front counterparts. 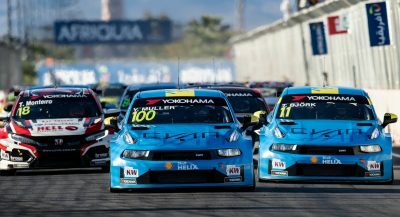 They are slimmer than before and connected by an illuminated light strip that helps make the car look wider. 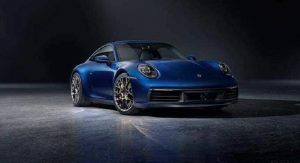 The dimensions aren’t available yet but don’t expect big changes over the current 991. 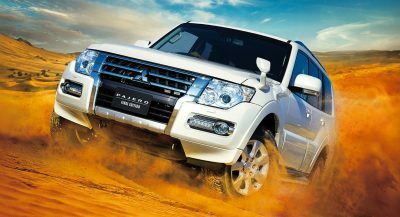 The engine will continue to sit on the rear axle, there will be both rear-wheel-drive and all-wheel-drive variants, as well as tens of derivatives. 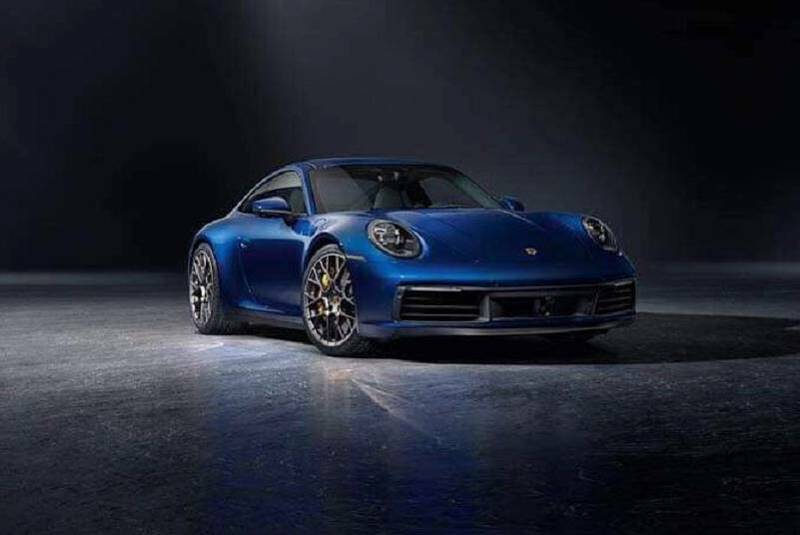 There will be revised turbocharged flat-six engines with outputs of 385 hp in the base 911 Carrera and 450 hp in the Carrera S. The most important mechanical upgrade we know of so far is a new eight-speed PDK dual-clutch automatic transmission replacing the current seven-speed unit. A seven-speed manual gearbox will be also available. As previous spy shots have shown, designers had more freedom to unleash their creativity on the inside of the 911 than outside. The dashboard is more sophisticated than on the current model and gains a new instrument cluster where four of the five gauges are now digital. 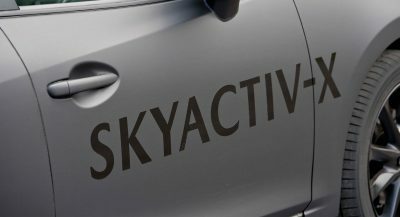 The cabin also gains new switchgear, gearshift levers, and climate control unit. 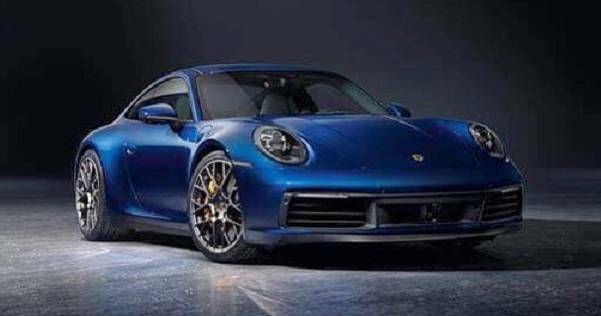 If like us, you lust for more photos and information about the 991, you should know Porsche will officially unveil the new 911 on November 27 on the eve of the 2018 LA Auto Show, at 8 p.m. local time. Those spy shots gave it away at this point so nothing about the production model surprises me. I think it’s a great start. Looking forward to seeing what they do with the next GT3. The rear end of the design looks a bit too heavy handed. The beauty of a 911 has always been a very simple elegance to its design, a car draped over engine sort of look. There’s too much going on back there with the larger blacked out area and simply too much visual mass in general. From the front, where you can see the new greater width of the rear “shoulders”, its looks classic and gorgeous. The entire bodyshell is all new… so everything basically. That front lower air intakes/radar… Not fan either. Too bad the overall design is nicely imporved in a very subtle way. Hate oval exhaust pipes. Very Audi and very ugly. The rear looks good! I like the front too for it’s classic Porsche look, but whatever is going on around the bottom bumper is a mess. The intake grills are not “fake” there are two radiators in the front, one behind each grille. who needs panamera coupe if 911 is already panamera coupe? I think that the 911 is a dedicated sports car. But I think a Panamera coupe would be something more comparable to the S-Class Coupe, or (more properly) Ferrari California. I’m sure it’s focus would be less of a dedicated sports car, and more of a dedicated luxury GT (grand tourer). I’m not sure how big the market would be for something like that, but I am sure that the market does exist, and if there’s a market (an opportunity to make more money), then I’m sure they’d build something like it. What would make more sense to me is maybe a ‘Mission-E Coupe’. I’m not saying it would make much sense, but if there’s a reason, that would likely be it. It could probably be around the size of something more so like this (maybe even bigger). I wish they would have saved this debut for Detroit. I totally can agree, but I presume they saved it for Los Angeles as typically Detroit is more known (but not completely known) for North American Specific bound automobiles. I think they went with the LA Auto Show this year because of it’s location (as Porsche has a large presence (customer-wise) in souther California. If they waited for Detroit then I’m sure they would have said “let’s hold out a little longer as we could just reveal it in Geneva” a few months later. But I do agree. So true, since LA is halfway between Paris/Frankfurt in October, and Geneva in March. 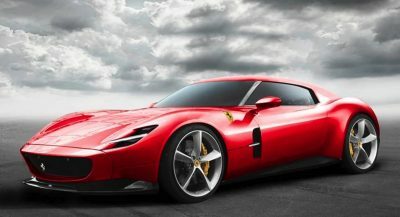 It’s just that Detroit used to be the second biggest car shows in the world, competing every year with Geneva for the biggest debuts and the coolest concepts, and everyone was there, from Toyota to Porsche. The past 3 years, however, have been very depressing. It has been eclipsed by Europe’s second largest auto show, Paris/Frankfurt, and now LA, which used to be America’s third largest show after Detroit and New York, as well as the Chinese auto show. That VW front bumper makes it look like a vacuum cleaner… the rear one is better, but not much. It definitely needs some getting used-to… The blue one is a nice spec though. really? I feel like I’ve already seen it a thousand times. At least the pictures are nice and dark .. So, by 2022 this will be spot on good looking then. Yeah, Can’t wait to see the GT3, GT3 RS, GTS and Turbo Versions. I saw one on the road already. The back is more 993ish. I like it. The front needs some more work, it’s a little too tamed. I’m not crazy about the black plastic up front.